Technology has advanced at an incredible pace since the initial introduction of smartphones. With internet access plus a slew of features now available on nearly every device, smartphones can now be used to replace a camera, MP3 player, and even to preform functions previously reserved for laptop and desktop computers. 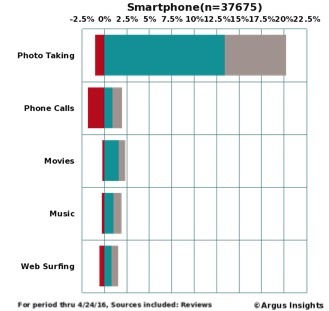 According to analysis of consumer smartphone reviews from March and April 2016, photo taking is the most discussed smartphone usage among consumers. Not only do users mentions taking photos more than making calls, but they are also far more pleased using their phone as a camera than as an actual phone. Let us know if you have any questions about how Smartphones fit into the Internet of Things, we will answer them in our upcoming IoT Webinar! You can also get insights into the minds of smartphone consumers on a regular basis with our Free Newsletters. Need to Know What’s Important in the IoT Market? Curious about Big Data, security, cloud, wearables & everything else involved in the Internet of Things market? Don’t Miss Our Upcoming IoT webinar on Wednesday, May 4 at 10am PT to understand what topics, technology, and concerns are driving the most interest in the market. Get your burning questions answered as we dive into our proprietary insights portal for real time analysis of market conversation. Let us know what questions are top of mind for your business when you sign up here to attend the webinar. 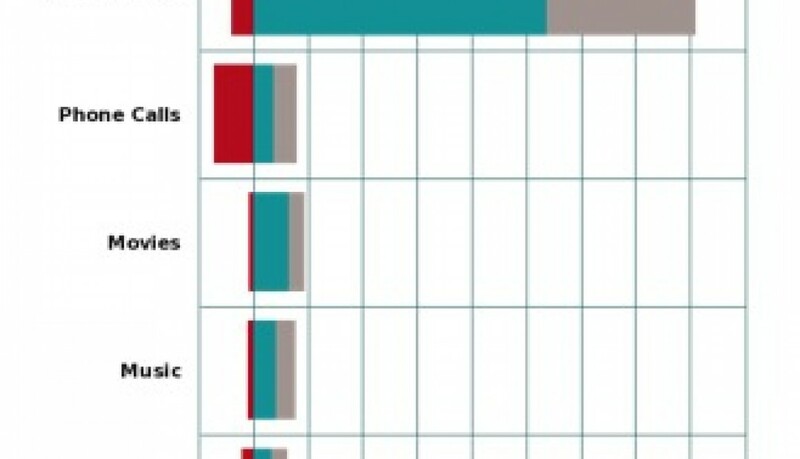 The Internet of Things is vast, and the immensity of the market fosters robust competition. 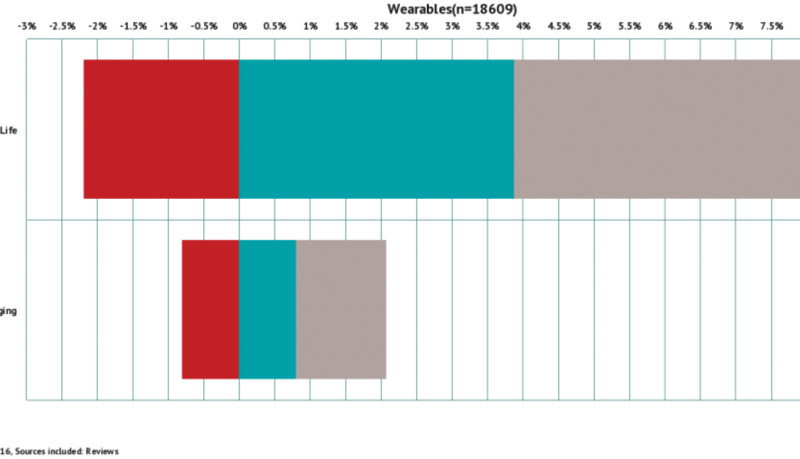 The competitive landscape is diverse, including companies that range from chip and hardware manufacturing to developing software and optimizing data networks. 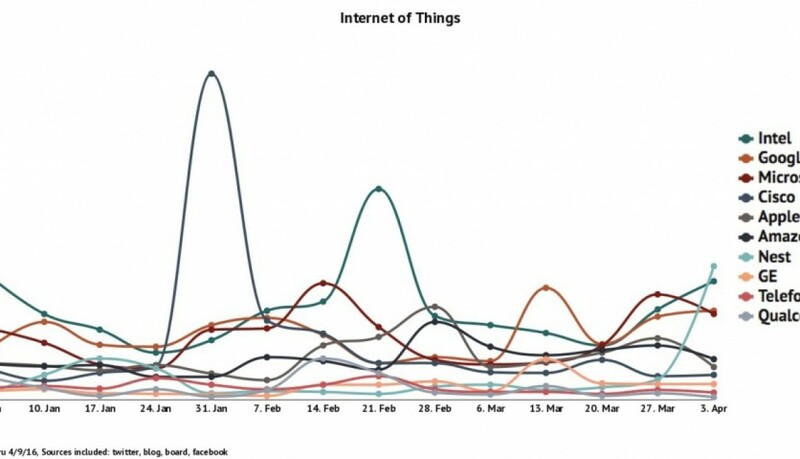 However, mentions of brands only account for about ten percent of all IoT discussion. 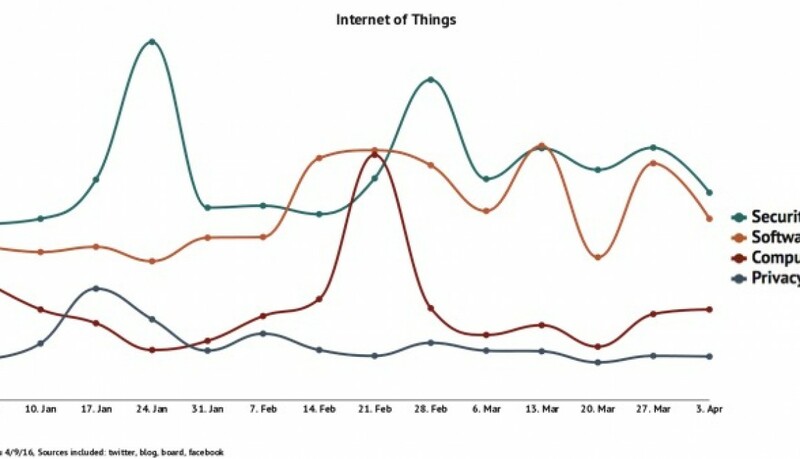 While brand discussion is led by Intel and Google (Alphabet), conversations about IoT applications and fears are more prevalent. To learn more about what is driving discussion in the IoT market along with what is driving brand mindshare, download our free report: The State of the IoT. 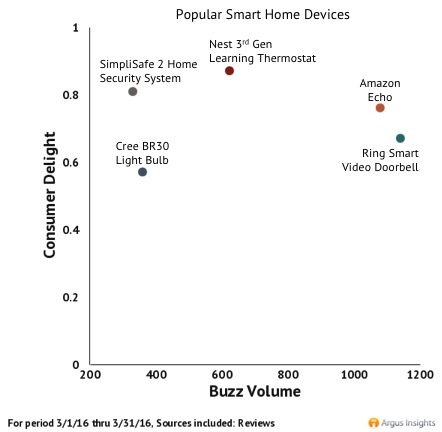 The Ring Smart Video Doorbell captured the most consumer attention out of Smart Home devices last month. 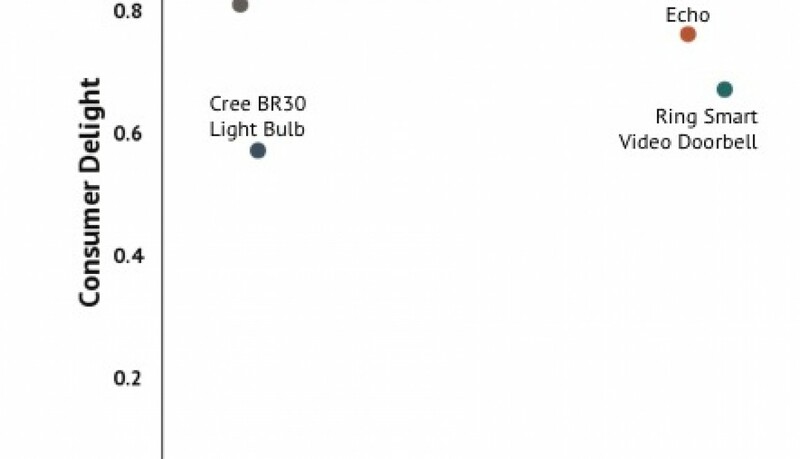 Amazon Echo followed with the next highest volume of consumer reviews, but the Nest 3rd Generation Learning Thermostat was the most loved of the month’s popular devices. Want to know what’s trending in Smart Home conversation on a regular basis? Sign up here for our Smart Home Newsletters. Battery life has been a long standing issue for Wearable Technology, and despite steady improvements in technology it remains a large topic of conversation among wearable consumers today. Of the 18,609 consumer reviews for wearable devices we collected in March 2016, more than 11% mentioned battery life. There is slightly more positive feedback than negative, but complaints of quickly draining battery persist. Follow what’s trending in the Wearables market with our free weekly newsletters.